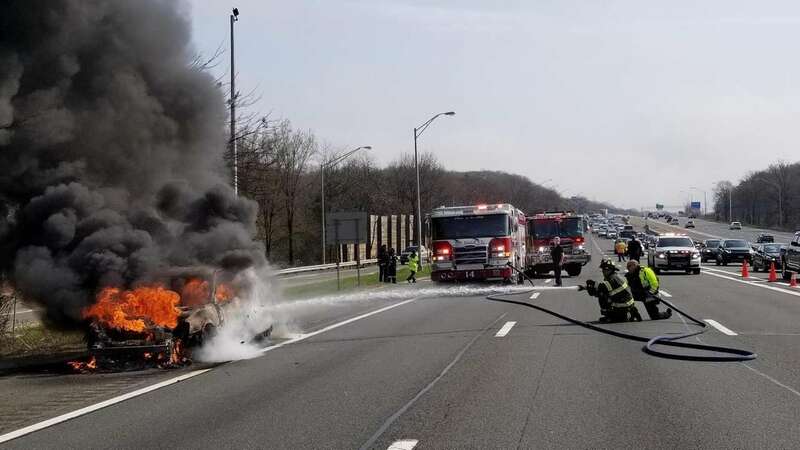 All lanes of the Long Island Expressway are open at exit 51 after a car fire on the westbound shoulder of the roadway. Photos from the scene show a sedan engulfed in heavy flames as volunteers with the Dix Hills Fire Department work to extinguish the blaze. The fire was reported about 9:30 a.m. and the occupants escaped from the vehicle, according to Suffolk County Police. No further details were immediately available.